With occupancy hitting a decade high, hoteliers believe an upturn is in sight; but the early signs are far from conclusive. 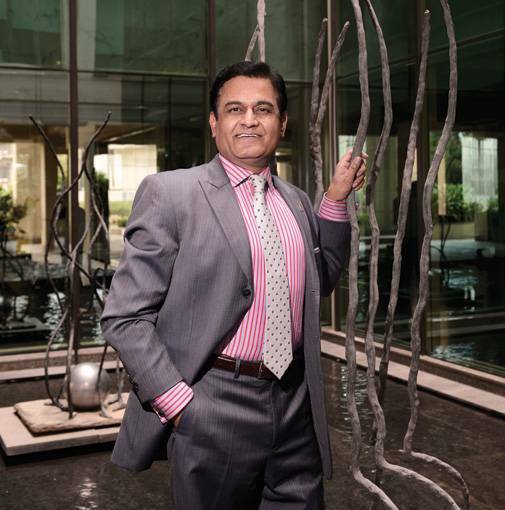 Delhi-based Umesh Saraf is a seasoned hotelier. He owns 14 hotels in India and Nepal, including properties such as Hyatt Regency, Hyatt Andaz and The Grand in New Delhi, and Grand Hyatt in Mumbai. With a series of distressed hotels coming up for sale, hotel owners like Saraf are waiting in anticipation. Several hotel properties have gone to the NCLT (National Company Law Tribunal), including Marriott Convention Centre and Courtyard by Marriott in Hyderabad, and Taj Gateway Hotel in Kolkata. "There are buyers like us. People have created funds for acquisitions. Some pension funds have been roped in by promoters to buy distressed assets," Saraf says. For Saraf, this kind of expansion will be different from his previous approach of building hotels from scratch. For starters, the hotel industry has two kinds of people: owners and brands. People like Saraf own hotel properties, and bear the construction and operational expenses. Similarly, domestic hotel chains like Taj Hotels or Oberoi are largely owners. On the other hand, there are players like Hyatt and Marriott that operate hotels (on behalf of owners), lend their brand names, and earn fee in return of their services. "Our biggest issue is the crazy project implementation time. This kind of bureaucracy is unnecessary. I am going to stop building new hotels; I will most likely acquire running hotels. Private equity investors want exits in eight years, but it takes eight years to build a hotel," he says woefully. Building a hotel from ground up is a tedious process indeed. According to ratings agency ICRA, starting a new hotel requires clearances from roughly 40 central and state agencies and 110 licences. The hospitality sector is witnessing a revival of sorts after a long period of slump, and Saraf and his ilk don't want to be left out of the next boom cycle, which, sector experts believe, has already begun. Last year, the average nationwide occupancy rate reached 65.6 per cent for the first time since 2008/09. A few branded chains such as AccorHotels registered occupancy as high as 70 per cent. There was also a marginal increase - 2.4 per cent - in average room rates (ARRs) in 2016/17 over the last year. But the growth story - if there's going to be one - is likely to be different this time with hotel companies tweaking their standardised model to rein in their spiralling costs and become efficient. For nearly a decade, supply in the hospitality sector, especially in the top cities, outstripped demand by a huge margin leading to significant pressure on occupancy and room rates. Even in the down cycle, the demand was growing at 10-12 per cent annually, whereas the supply was growing at a fast clip - between 15 and 25 per cent from 2007 to 2016.
his trend is slated to change. According to hotel consultancy firm Hotelivate, there are around 30,000 rooms under construction; these will be operational by 2021/22. The current branded hotel room count stands at around 1,30,000. Room supply is likely to grow at 4-5 per cent annually, and demand will grow at around 10 per cent. When the demand-supply equation reaches equilibrium and occupancy rises, room rates will invariably see an uptick. "We have seen a small rate increase in 2017/18, and are expecting a bigger hike in 2018/19 and even bigger going forward," says Achin Khanna, Managing Partner (strategic advisory) at Hotelivate. 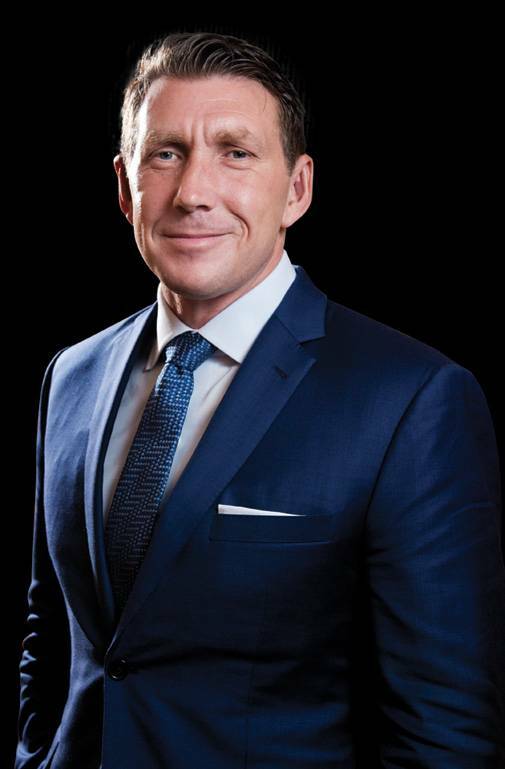 Alan Watts, President, Asia Pacific, Hilton, says that the Indian hospitality sector is seeing an upward trend. "Demand and supply are finally regulated after 2008," he says, adding that there's still a bit of bust overhang in the minds of lenders and owners. "From 2008, we have seen a number of projects fail. India still has big freestanding derelict structures that are billboards to people reminding of risks of the boom-and-bust cycle. Prior to 2008, everybody wanted to build hotels. Many got their fingers burnt at that time. The cycle has come back again," says Watts. Globally, large real estate players have an exposure of 5-10 per cent of their total portfolio to hospitality. In India, a few medium-sized players like K. Raheja Corp and Embassy Group have built hotels, but the big players don't have hotels in their portfolio. Despite the uptick in occupancy and the expected rise in rates, not many hotels are being built. Instead, the market seems to prefer converting the existing properties. "A new hotel takes at least five years to be built. We are not seeing greenfield sites being signed. The industry will lead with conversions. There are a lot of institutional investors that have turned bullish on India. I think existing properties that come to the market will trade at a premium because people don't want to take development risks," says Hilton's Watts. The sector is seeing sizable investments coming in from big players. Piramal Finance, a subsidiary of Piramal Enterprises, has plans to invest `10,000 crore in hotel assets. It has recently completed two deals of `1,200 crore to enter the sector. Embassy Group, a real estate developer, has lined up `1,350 crore to develop four new hotels in Bangalore to expand its portfolio. And then Louvre Hotels Group acquired Sarovar Hotel Group last year. "JPMorgan Chase has investments in Bangalore and Hyderabad, and Goldman Sachs made strategic investments in SAMHI (a hospitality-dedicated fund) in 2016. These people have invested money historically and are trying to see if they can invest more," says Hotelivate's Khanna. Again, private equity and institutional money are being invested in operational assets. "Developers have become over cautious. PEs want to invest in hotels which are fully stabilised and generate operating profits," says Sonica Malhotra, Managing Director, MBD Steigenberger Hotel. ven as brands turn bullish on the sector, they are looking inwards to adjust to the market realities. Take food and beverages (F&B), for instance. The rising competition from standalone restaurants, rising costs and changing customer preferences, especially in the metro cities, are forcing hotels to revisit their F&B offering. On a broader level, the number of F&B outlets in hotels is being reduced. In most Radisson Blu properties being built, there is only one all-day dining restaurant, a lounge and one other restaurant. Earlier, it had two other restaurants. Radisson Red, which is the newest brand of Radisson Hotel Group, is more amenable to not having multiple restaurants in its offering. "We don't need three or four restaurants. We are advising strongly against that. Most guests want to have breakfast (at the hotel) even if it's not included in the rate, but they do want to experience other places. We are factoring that into our space and facility planning while building hotels," says Raj Rana, Chief Executive Officer (South Asia)at Radisson Hotel Group. Saraf says that hotels have no business to be in the restaurants business, and they should just be providing the basics for guests. He's planning to outsource the restaurants in his hotels to specialist operators. In The Grand, New Delhi, the hotel has eight outlets, out of which three to four will be leased out to outside operators. F&B is a high-margin business for hotel banquets but not for outlets because the cost of servicing a dish is high. This is because the operational costs are higher than rooms. For instance, hotel rooms have 85 per cent profitability whereas restaurants have 30 per cent profitability. A restaurant on per square foot basis is far more expensive to build than a room, say experts. "In future, hotels will have fewer restaurants. Most new mid-segment hotels have just one restaurant which is combined with a bar. The restaurant manager in a hotel doesn't have to worry about energy and security costs. The livelihood of a manager in a standalone restaurant is dependent on reducing such costs," says Manav Thadani, Co-founder, SAMHI Hotels. Reducing F&B outlets translates into lesser manpower cost. On a per-key basis, India has one of the highest manpower ratios in the world. For instance, in luxury hotels like The Leela and The Oberoi, the employees-per-key ratio is 2.2 to 2.5. Globally, this ratio is 1 or marginally higher. "Places like India, where labour cost has never been an issue, are dealing with escalating labour cost and payroll cost. Over the last couple of years, pay scales have gone up. It's beginning to have an impact on the bottom line," says Vivek Bhalla, Regional Vice President (South West Asia) at InterContinental Hotels Group. With labour costs going up, multitasking, employee productivity and re-skilling have taken centre stage. Hotels are trying to harness technology to reduce staff costs. Questions such as 'Does a budget or mid-scale hotel need 24-hour room service?' and 'Do they need a valet and a doorman when it's not present anywhere in the world?' are being asked. In the newer properties of Radisson, the staff strength has been gradually increased so that the hotel doesn't load up the payroll from the beginning. "One of the unique challenges in India is that because of higher security needs, we have more security staff. In our new hotels, we make sure that egress points are enough to allow fire exits. We don't need 10 exits. It means 10 times more security to staff those exits," says Rana. In India, hotels have multiple layers of hierarchy. For instance, employees have to work for five years in a restaurant before they can be talking to a customer. This results in higher manpower requirements. Accor follows an organisational structure that allows for minimum hierarchy. "We have a lean hierarchy. We are able to develop our resources which are more exposed to the customers from the early stages of their jobs," says Jean-Michel Casse, Chief Operating Officer (India and South Asia) at AccorHotels. For over a decade, the slump in the hospitality sector has drawn a new set of winners and losers. The Indian operators, who were ruling the roost for a long time, have ceded their dominance to more aggressive foreign players. Sensing a strong chance to create value, buoyed by the early signs of revival, some operators have started to invest now to stay ahead of the curve. 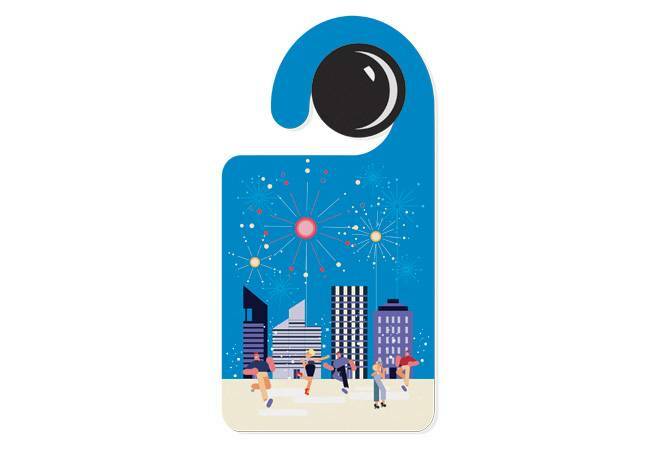 They cannot be faulted because, in comparison to mature hospitality markets like Hong Kong and Tokyo, the opportunities to expand in the domestic market are too big to ignore.